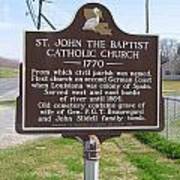 There are no comments for La-024 St John The Baptist Catholic Church 1770. Click here to post the first comment. ST. JOHN THE BAPTIST CATHOLIC CHURCH (1770)From which civil parish was named. First church on second German Coast when Louisiana was colony of Spain. 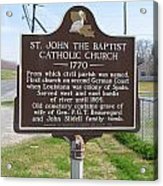 Served west and east banks of river until 1864. 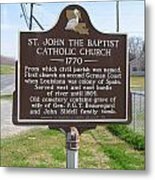 Old cemetery contains grave of wife of Gen. P.G.T. 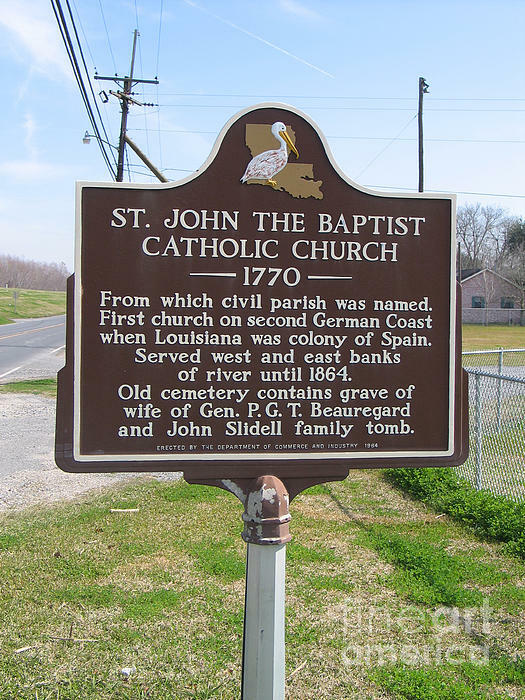 Beauregard and John Slidell family tomb.Erected by the Department of Commerce and Industry, 1964.